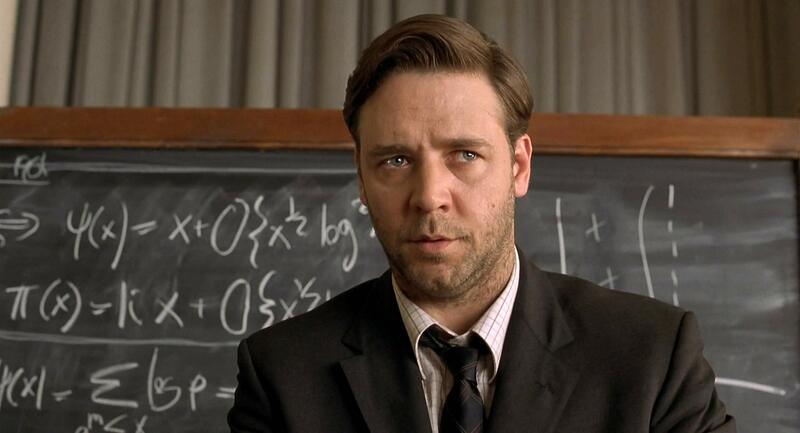 A BEAUTIFUL MIND, if you ignore its Oscar pedigree and commercial success, seems to offer a sort of litmus challenge for a select segment of the reviewing community to show how twee difficult it is for them to be carried more than a yard by any emotion that isn’t soaked in brine, or show a fifth-graders grace when sheer talent snaps their wrist into delivering a backhanded compliment. There seem be a lot of wrong-side-of-beds in critic country and eeing the credit Directed by Ron Howard seems to provoke them unduly. I guess I have bananas for brains then, like the industry peers who Oscar’d this 2001 drama with Best Picture, Director, Script and Supporting Actress, and the moviegoers worldwide who shelled out $320,000,000 to see it—because I think it a beautifully done film. Playing admittedly free with some facts (never known that to happen) it tells the fascinating, tragic, ultimately inspiring story of John Nash, a mathematician (game theory, differential geometry) of Promethean brilliance who slipped from being just a rather challenging kook into a mental wreck, occupying world of terrifying hallucinatory schizophrenia. Russell Crowe splendidly evokes the nervous energy, social awkwardness, shy wit and defiant loneliness of Nash, then equally his arrogance, confusion, paranoia and grief. Crowe was nominated for Best Actor, but lost to Denzel Washington (strong in the corrosive Training Day, but not this good). 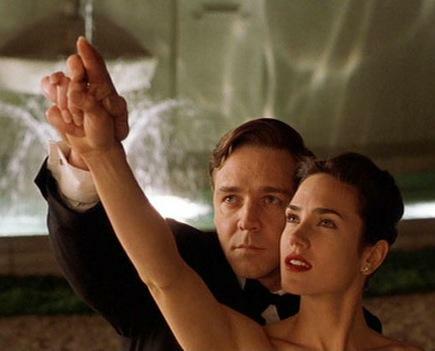 Exceptional counterpart comes via the stunning Jennifer Connelly. She carries enough depth of soul and arresting intelligence in those green eyes to solve about any equation you could dream up. 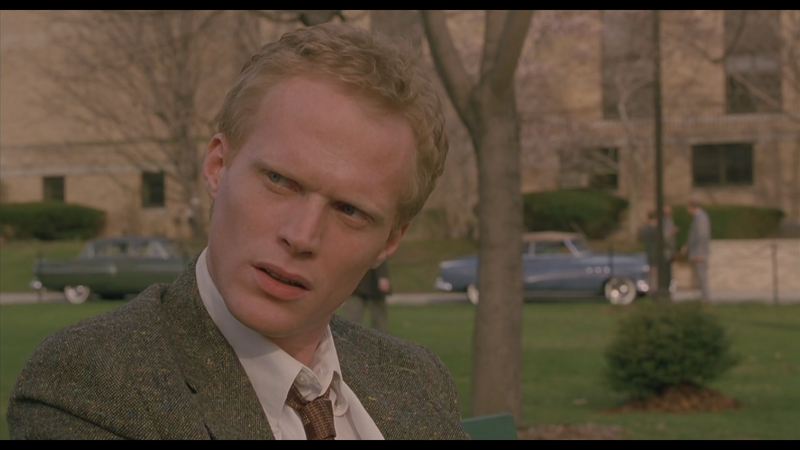 Co-star Paul Bettany agreed: they married after making the movie. 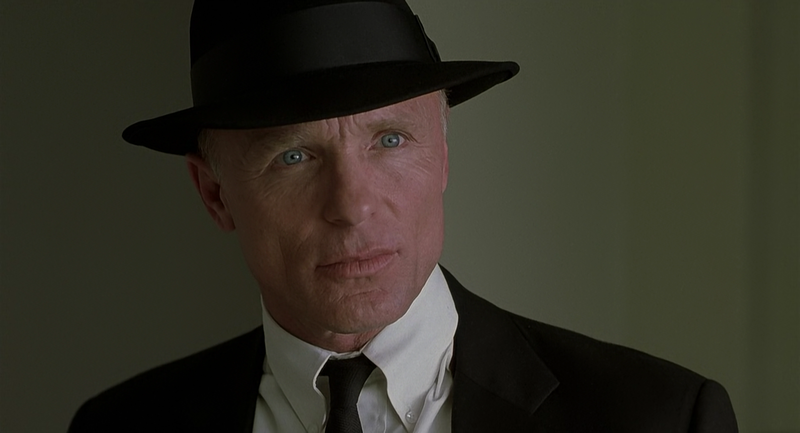 With Ed Harris (in full hardass mode), Christopher Plummer, Josh Lucas (his character has a satisfying arc), Adam Goldberg, Judd Hirsch and Austin Pendleton. James Horner did the sensitive score, also nominated along with the Editing and Makeup. 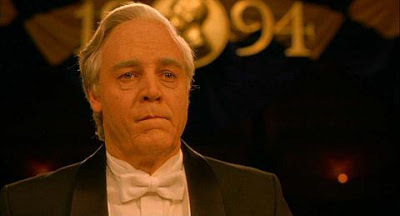 Rich color scheme is courtesy of ace cinematographer Roger Deakins. Howard & teams visualization of blizzard-like math calculations and labyrinthine code blueprints in Nash/Crowe’s mind’s eye recall the marvelous way paintings were imagined in Frida. Running time is 135 minutes.